To sign up for trial version, follow the steps given below. 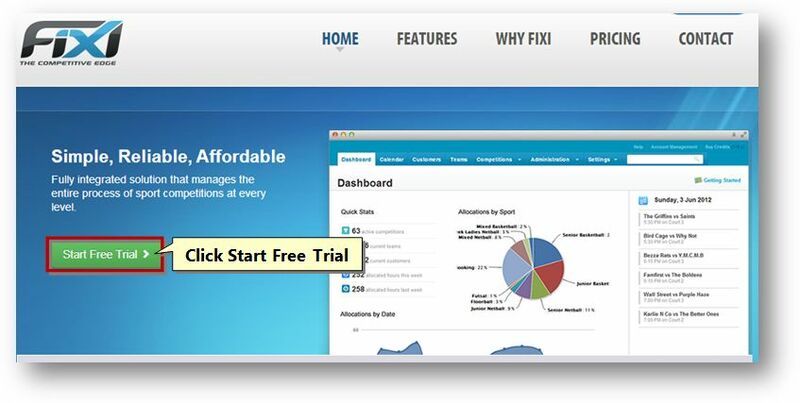 The FiXi Home page will be displayed. 2. Click the Start Free Trial button. 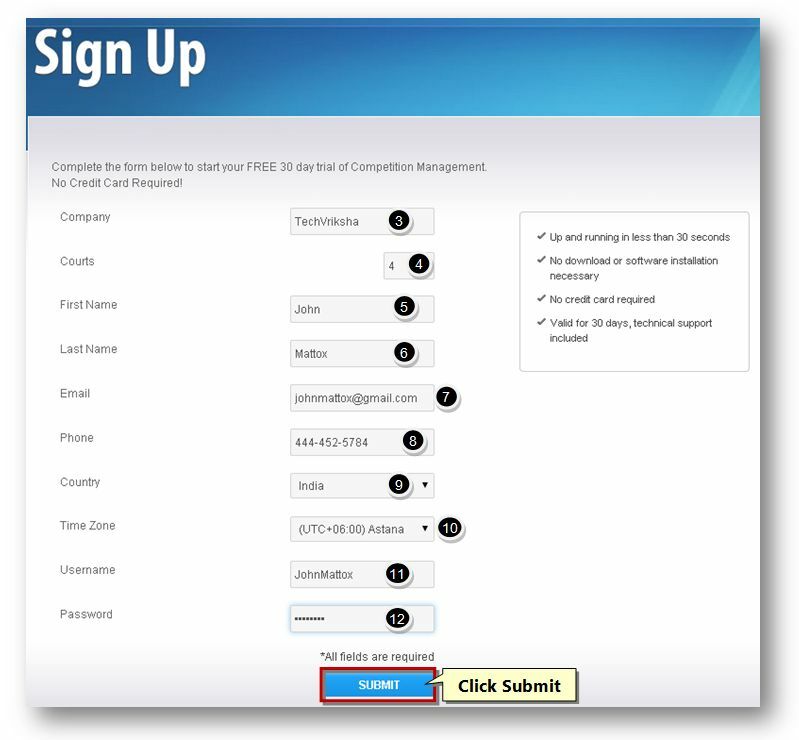 The Sign Up page will be displayed. 3. Enter the name of your company in the Company text entry box. 4. Enter the number of courts in the Courts text entry box. 5. Enter the first name in the First Name text entry box. 6. Enter the last name in the Last Name text entry box. 7. Enter the email address in the Email text entry box. 8. Enter the phone number in the Phone text entry box. 9. Select the name of the country from the Country drop down list. 10. Select the time zone from the Time Zone drop down list. 11. Enter the user name that you wish to use, to log into the system, in the User Name text entry box. 13. Click the Submit button. The new account will be created.